Science has often treated Indigenous people as resources for research—especially when it comes to genomics. Now, Indigenous people are exploring how this type of study can be conducted in a way that respects their people and traditions. Meagan Cantwell talks with contributing correspondent Lizzie Wade about a summer workshop for Indigenous scientists that aims to start a new chapter in genomics. We’ve known for decades that PCBs—polychlorinated biphenyls—are toxic and carcinogenic. In the ... See More 1970s and 1980s, these compounds were phased out of use in industrial and electronic applications, worldwide. 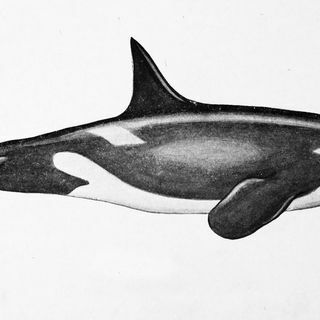 But they are still in the environment—in soil and air—and in animal tissues, particularly those of killer whales. These toxic compounds start out at minute levels in tiny organisms, but as the small are eaten by the slightly larger, the PCB concentration increases—from plankton, to fish, to seals—until you are at killer whales with PCB-packed blubber. Ailsa Hall, director of the Sea Mammal Research Unit at St. Andrews University in the United Kingdom, talks with host Sarah Crespi about her group’s work measuring PCB levels in different killer whale populations and calculating the effect of PCBs on those populations 100 years from now. In this month’s book segment, Jen Golbeck interviews Damon Centola about his book How Behavior Spreads: The Science of Complex Contagions. You can listen to more books segment and read more reviews on our books blog, Books et al.